Louisville, KY based commercial & corporate photographers specializing in event photography, food photography, editorial photo shoots and corporate head shots. We help your business succeed through the use of creative photos and video. Serving the Louisville, Lexington and Cincinnati areas for over 15 years. 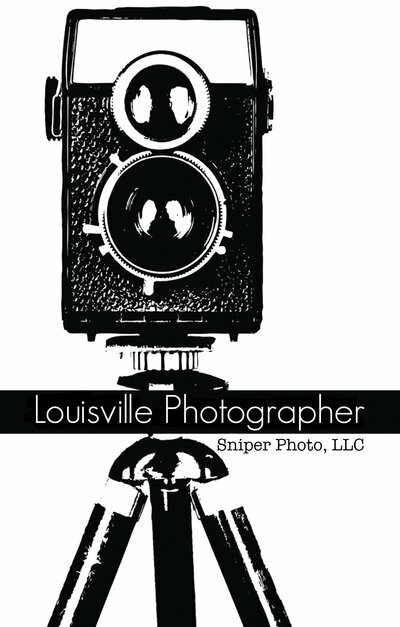 Sniper Photo, LLC (LouisvillePhotographer.com) focuses on providing unique event photography coverage to the Louisville, KY area and beyond. We frequently photograph events in Lexington, Cincinnati and Indianapolis. In addition to event photography coverage, we also offer a bevy of commercial photography services to fit your unique business needs. Yeah, we actually used the word "bevy". We don't shoot Weddings or Family Portraits. Our main focus is helping you make more money through the use of creative photography and videography. - Our team has provided photography services to many of the regions top manufacturing and industrial companies. We can photograph your manufacturing process from start to finish as well as provide video footage. - We are experienced food photographers and stylists and have photographed countless culinary dishes as well as the chefs who created them. Restaurant photography packages available that include food photography, restaurant photos as well as chef portraits and staff group shots. - Video "B-Roll" services for events, interviews or marketing projects. - In Studio or on location corporate head shots. We can setup a full studio at your location or you're more than welcome to schedule a head shot photo session at our Frankfort Ave. studio located in the gorgeous Crescent Hill neighborhood of Louisville. - Louisville is an amazing convention town, due in part to the brand new Kentucky International Convention Center. We offer convention, expo and trade show photography services that include beauty shots of your companies booth as well as crowd interaction with the display. - We LOVE editorial photo shoots as well as environmental portraits. Photographing someone in their unique environment helps to tell their story. Editorial photography is a great way to showcase your personality through photos. We photograph a lot of editorial spreads for various advertising campaigns as well as magazine articles. We've built long lasting relationships with many of our corporate clients, that have lasted for years, and have the referrals to back that up. We believe in lightning fast turnaround time. IMAGES PROCESSED AND DELIVERED WITHIN 24 HOURS. Same day turnaround time also available! No need to keep you in suspense. Sniper Photo, LLC shoots with the very best gear currently available to insure top notch quality. Redundancy is paramount. Did I mention we have back up gear for our back up gear! We do not know what "equipment failure" is. This philosophy also carries over to our editing process. All image files are backed up in multiple places to ensure we never lose a photo. We love to have fun, but delivering your images on time and under budget is our first priority. We have traveled all over the country to provide commercial photography services. If you're in one of those BIG FANCY cities, run your project past us. You might find our commercial photography "Day Rate" plus travel is STILL more cost effective than using one of the large production companies. We Like to Shoot People! Looking for a Louisville event photographer for your upcoming Louisville, Lexington or Cincinnati event? Well you're in luck, event coverage is "our thing"! Want to know Why? Shooting in our snazzy studio is great, but doesn't always convey the entire story of the subject. This is where the Editorial Portrait, AKA "On Location Portrait" fits in. A professional Head Shot or Corporate Portrait is important to your overall branding. We offer both in studio as well as on location services. You've worked hard building your restaurant and brand, labored over the hot stove creating your next culinary masterpiece. Don't let just anyone snap photos of your products! We help our clients gain tangible, measurable business benefits from their marketing and communications activities via creative photography. Let Sniper Photo showcase the hard work that went into your company's Trade Show or Convention booth design with still photography and/or video. Timelapse Video of your booth not only looks cool but is helpful for revealing the overall traffic flow and interaction of your booth. We frequently shoot at the Louisville Convention Center as well as the Kentucky Exposition Center. Sniper Photo provides manufacturing facility photography as well as industrial workplace photos. We have all necessary safety equipment and are aware of the details needed to safely capture photos of your facility. We work in a non obtrusive way, so as not to interrupt the flow of production. If you have a need for this type of photography, please give us a shout. We do things a little differently. Rather than a boring closed off photo booth, we provide an actual interactive experience! We set up full studio lighting and provide one of our snazzy backdrops. We can also use your step & repeat backdrop or even custom print one with your companies branding! A real-live photographer snaps pics of your guests. This allows us to not only catch poses but catch actual moments! We offer prints of your fabulous photos for you and your guests to take away and keep forever!